The average distance of the Earth from the sun around 92.9 million miles. But that is the average. If you recall from Science class, the Earth travels around the sun - and that path is not an exact circle. 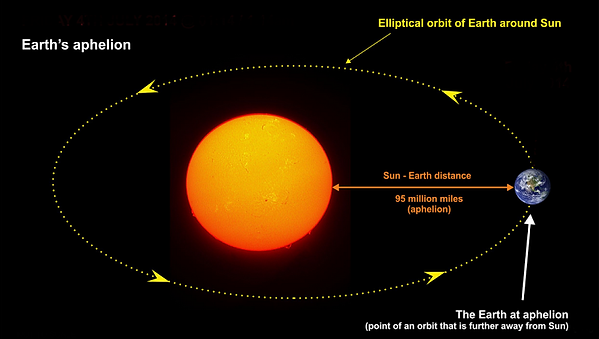 In fact, our Earth&apos;s path around the sun is elliptical.So what is Aphelion? And why is Earth at it??? 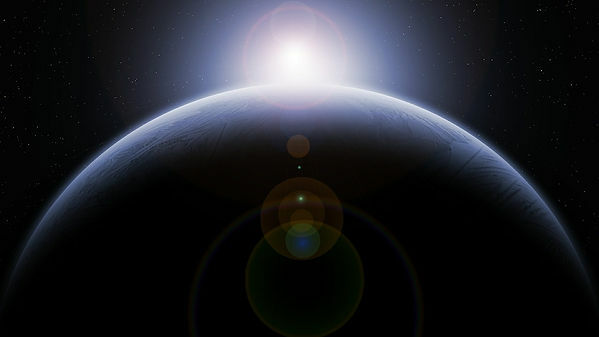 Aphelion describes the point at which the Earth is FURTHEST away from our sun (around 95 million miles away), while Perihelion is the point at which the Earth is closest to our sun. You have to remember that our Earth&apos;s season are caused by the 23 degree tilt of the Earht&apos;s axis of rotation. So while we are furthest away from the Sun today, we are tilted more directly towards it. Want another fascinating tidbit about Aphelion and Perihelion? 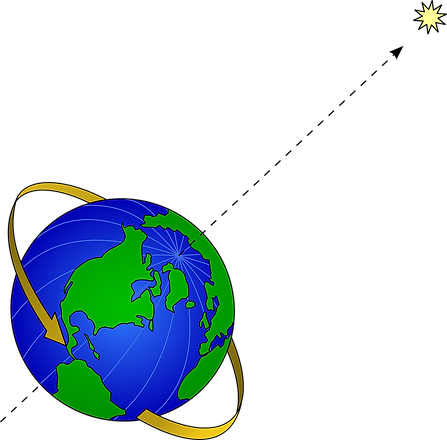 During Aphelion, the Earth is actually travelling slower than it does with at Perihelion! So we are actually travelling faster through space during winter months when we are closest to the sun! We hope you enjoyed this post about Aphelion and Perihelion. 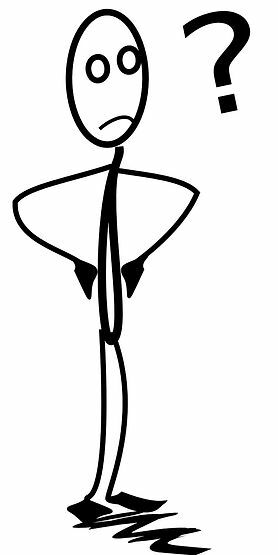 Now you can share with people and have them scratching their heads too!Thanks for reading!